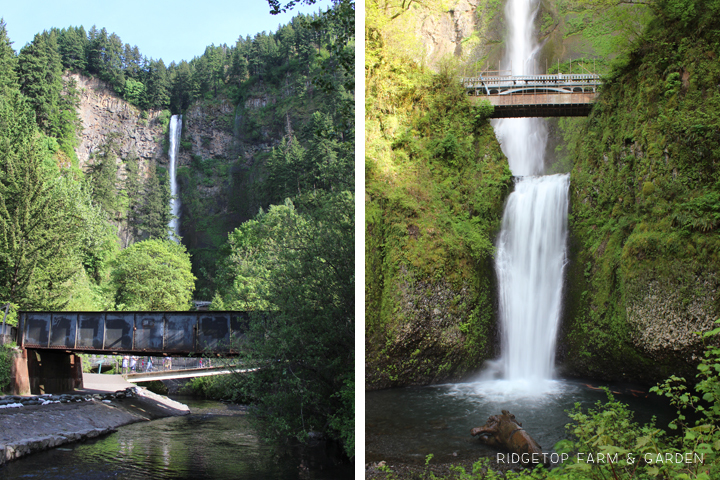 On a fairly sunny day in May, the kids and I spent the day exploring sites in the Columbia Gorge. 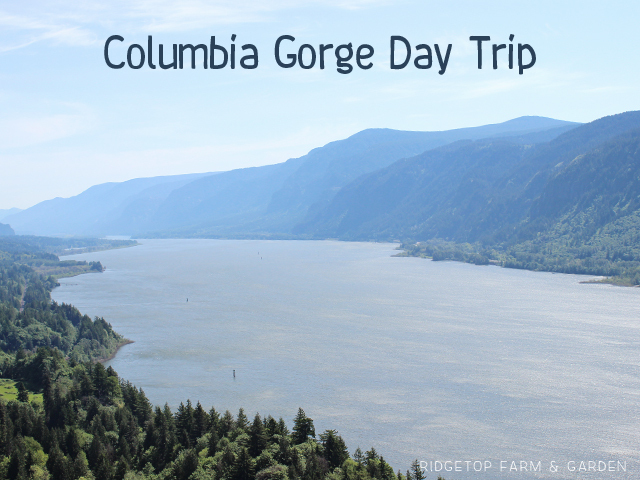 Although I wanted to see other things, my main reason for going to The Gorge that day was to visit the Columbia Gorge Interpretive Center. So, we went there first. 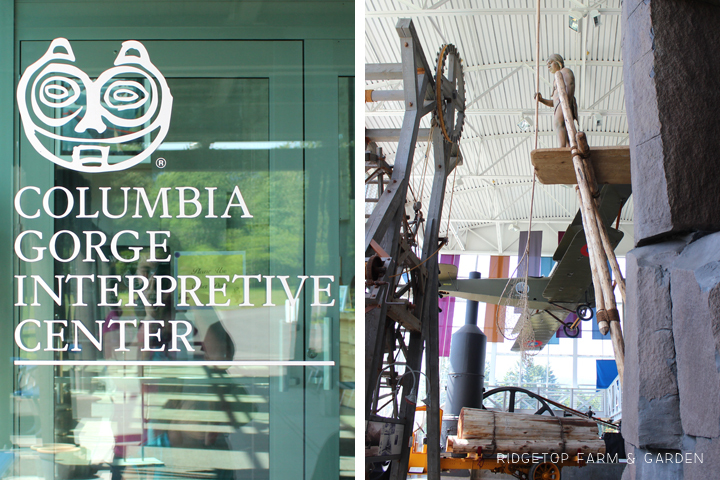 The Interpretive Center is on the Washington side of the Columbia River, but I had planned to drive most of the way on the Oregon side, up I-84. Even though, for the most part, I knew where to go I still turned on Google navigation. When I got closer to Portland, Google Maps changed my route. I don’t know why, but I followed it. It now had me crossing the Columbia River in Portland and driving the rest of the way on the Washington side, on SR-14, part of the Lewis & Clark Highway. This was my first time driving up The Gorge via Washington. 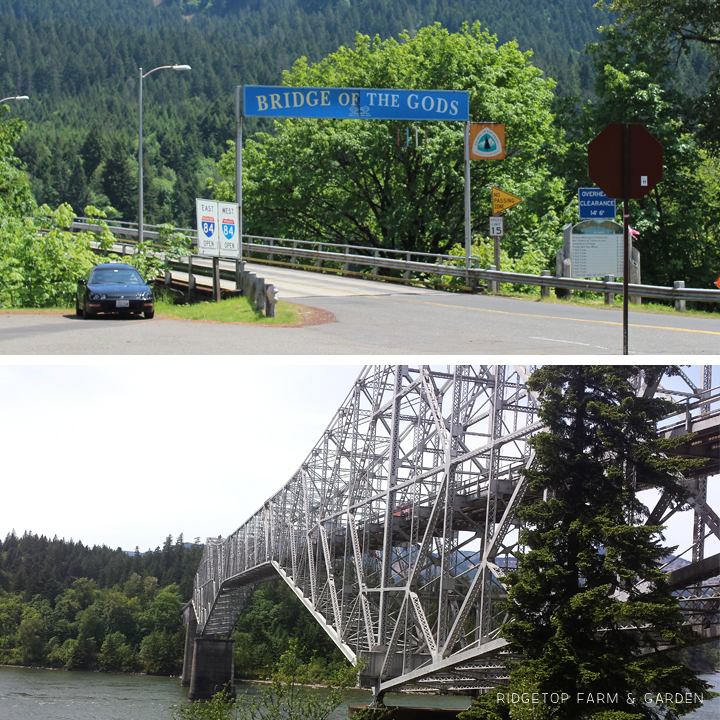 After touring the Interpretive Center, we drove over the Bridge of the Gods to get back to Oregon. 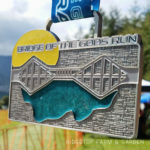 As well as being a cool looking bridge, it is also part of the Pacific Crest Trail. Cheryl Strayed ended her PCT travels here, as she tells in her book Wild. She was a nut & probably never should have hiked that trail as inexperienced as she was. But, it is a great story about not only her journey on the PCT, but also her journey through life getting her where she is now. 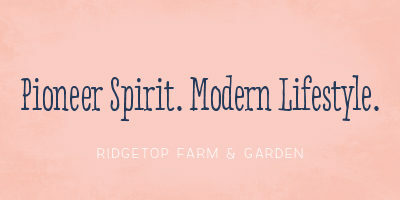 It’s inspiring. I can’t wait until the movie comes out. 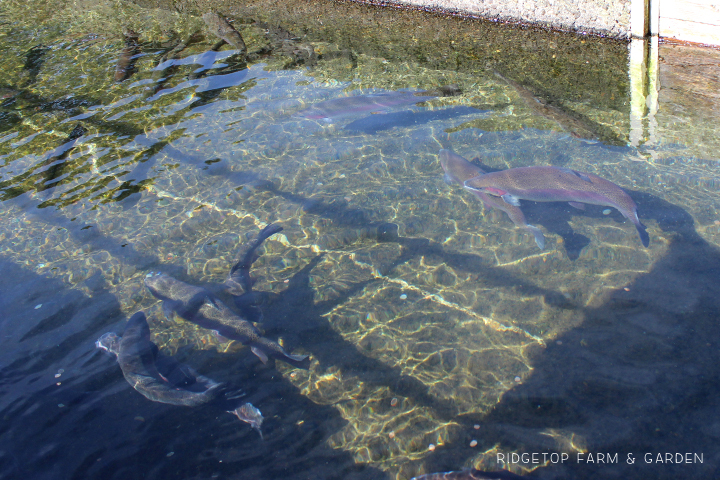 Just over the bridge, in Oregon, is the little town of Cascade Locks. 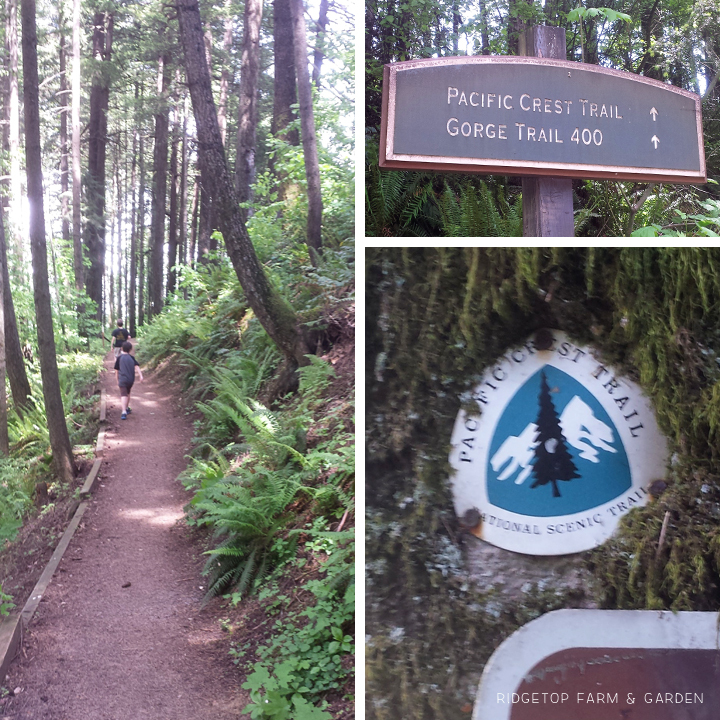 Here, we hiked a short way on the Pacific Crest Trail in search of a letterbox. Which, we found. Yay! One day we will hike more of this trail. We found another letterbox not far from the sign. 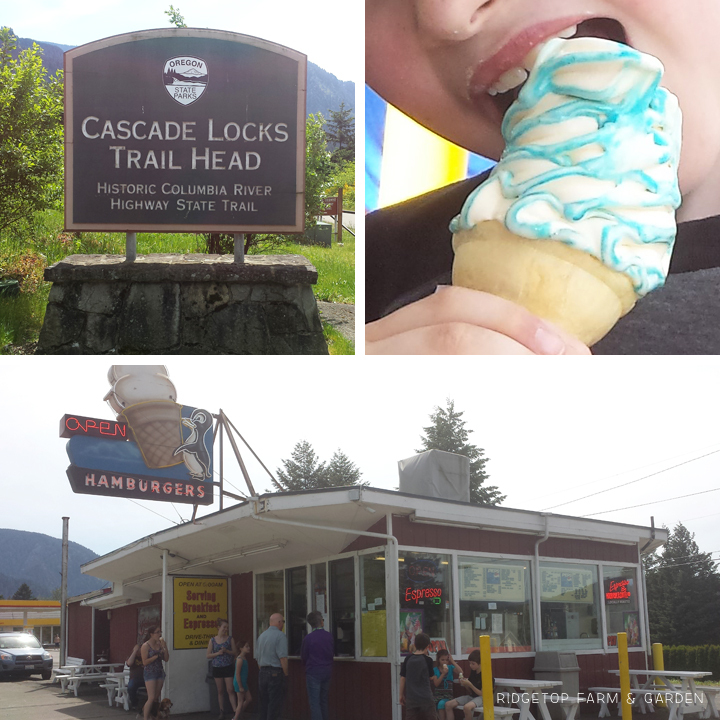 I’ve only been to Cascade Locks once or twice before, and I remember getting ice cream cones from this place. So in adding to that memory, I treated the kids. It was a warm day, perfect for licking ice cream. 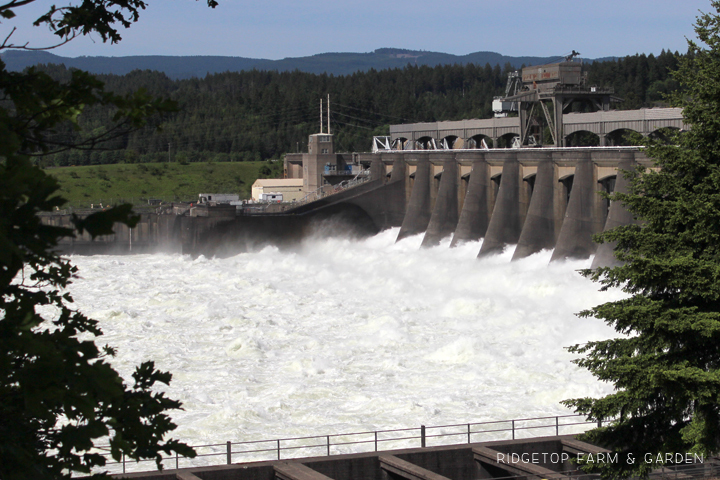 After eating ice cream, we toured the Visitor Center at Bonneville Dam. 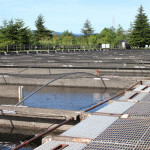 From the dam, we went to the Bonneville Fish Hatchery. Our last stop of the day was a quick visit to Multnomah Falls. Multnomah Falls is the highest year round waterfall in Oregon. 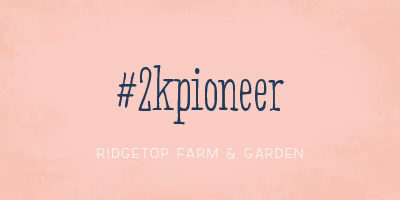 Second largest in the US. The Upper Fall plummets 542 feet. The Lower Fall is 69 feet. A few months prior a boulder fell through the Benson Bridge. This bridge allows you to continue your hike across the Falls and up to the top. The bridge was being repaired, so it and the trail were closed. It is now open, though. The furthest we could go up the trail was to this observation point, which was fine since I didn’t want to spend a long time at the Falls anyway. It was a long, fabulous day. I don’t even remember the kids arguing much.